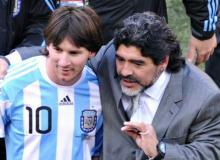 Diego Maradona has a thing or two to say about Argentina's current best soccer player, Lionel Messi. As the Copa América Centenario continues, Brazil gets ready to face Haiti and Peru will face Ecuador in the second round for Group B. 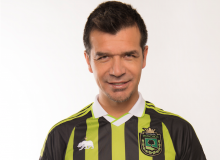 All-time leading goal scorer for the Mexico national team, Jared Borgetti, shares his tips to have a full soccer experience during Copa América Centenario. Alan Pulido was kidnapped in Ciudad Victoria, Tamaulipas, last month. 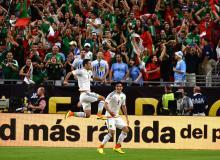 Find out what the Mexican soccer star had to say about the horrible experience. The U.S.A. team will face Costa Rica and Colombia will face Paraguay in the second round of games of Copa América Cenetanrio's Group A.
Ángel Di María pays tribute to late grandma during Copa América Centenario game. 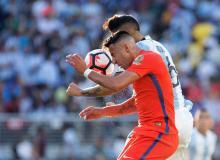 The Argentine soccer player learned his maternal grandmother had died hours before the Argentina vs. Chile match on Monday. 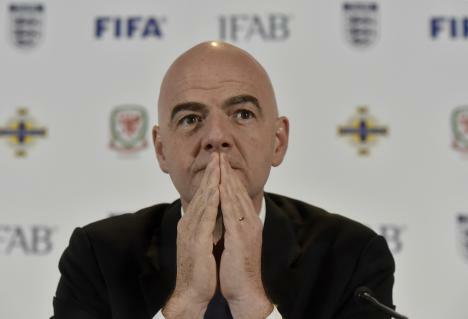 Will Copa América Be Hosted Permanently In US? 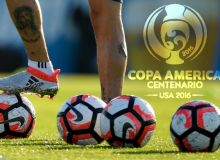 Copa América is hosted for the first time in the United States, but it seems as if after the 2016 soccer games, the tournament will remain in the states. 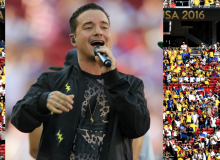 This is the second time the Copa América Centenario officials mess up with the Chilean Anthem and fans are not happy. 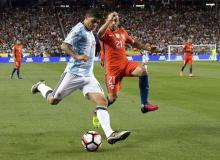 Argentina and Chile will clash at the Levi's stadium in Santa Clara for their first Copa América Centenario match. The Mexican soccer team captain had a great first game at the Copa América Centenario against the Uruguay squad. 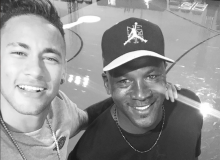 Neymar Jr. and Michael Jordan join forces, launch new soccer boots for "NJR x JORDAN" collection. Check them out! As part of Copa América Centenario's Group C, Mexico and Uruguay will clash in their first match of the tournament. Here's where you can watch the game. 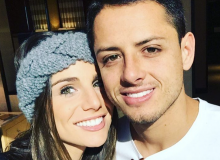 Are 'Chicharito' Hernández & Lucia Villalon Getting Married? Javier "Chicharito" Hernández's girlfriend, Lucia Villalon, sparks engagement rumors wearing suspicious diamond ring in photo. Are these two love birds taking their relationship to the next step? Justin Bieber and Neymar practiced a little soccer in the singer's backyard before heading to the stadium to watch Brazil play a few days later. Are the two becoming BFFs over shared interests? 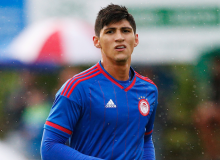 Was Alan Pulido Kidnapping Fake? 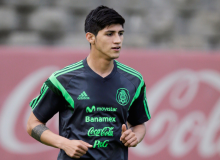 Mexican soccer star Alan Pulido was kidnapped in Tamaulipas, Mexico last Sunday. However, recent reports suggest his abduction was fake. 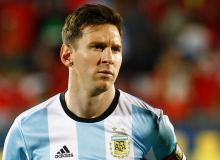 In the spirit of the Copa América Centenario kick-off, here are some fun facts about Argentine soccer star Lionel "Leo" Messi. In anticipation of Copa América Centenario, here are some things to know about Mexico's forward Javier "Chicharito" Hernández.